Jerry Weiss received his undergraduate degree from Syracuse University and his Juris Doctor from Case Western Reserve University. His strong reputation as a Cleveland commercial mediator, with broad subject matter and facilitation expertise, is based in large measure on a previous law practice that emphasized civil litigation in a variety of cases including representation of parties in antitrust, RICO/fraud, general commercial, civil rights litigation, employment, tort and injury and other complex issues and subjects. He is the first lawyer in Cleveland, Ohio to have dedicated his practice entirely to ADR and mediation-related activities. 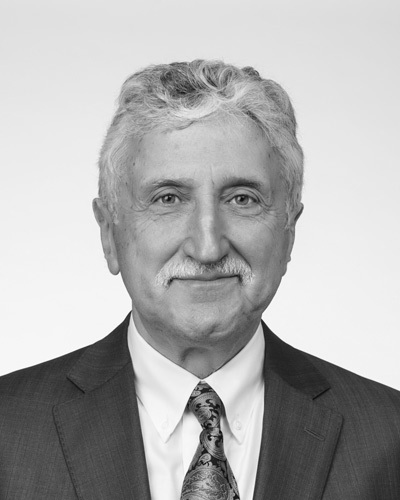 He has successfully mediated a broad range of state and federal disputes, both regionally and nationally.Jerry is also an adjunct Professor of Law at Case Western Reserve University School of Law where he co-teaches Mediation Representation: Theory, Principle and Practice, a course he conceived and designed. He frequently lectures at local and national educational events and has been a perennial presenter on mediation topics for the ABA and various litigation bar functions. He serves on numerous ADR sections and committees in several professional associations, including service as a Trustee of the Cleveland Metropolitan Bar Association and Chair of that Association?s ADR Committee and he is listed in the Best Lawyers in America?, Ohio Super Lawyers? and in the Martindale Bar Register of Preeminent Lawyers as AV preeminent, Martindale?s highest rating. He is listed in U.S. News-Best Lawyers? Best Law Firms Tier 1 in ADR. He has written extensively on mediation-related topics and has lectured throughout the United States and internationally.Jerry has experience conducting commercial mediations with international companies, which have involved representatives from the United States, Great Britain, Asia and EU countries. He holds dual U.S. and German citizenship. He is on many lawyers? and disputants? short list of go-to neutrals for the most difficult and complex disputes.